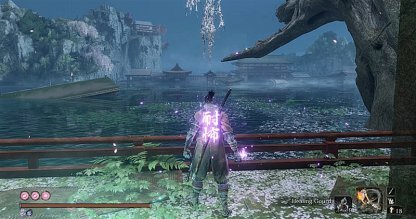 Check out this guide on how to beat the Headless boss in Sekiro: Shadow's Die Twice. Recommended Prosthetic Tools and Items, Divine Confetti, Headless Attacks and Tips! Headless Ako can be found near Under Bridge Valley. From the Under Bridge Valley idol, grapple up to the bridge and turn right towards where you fight Tenzen. 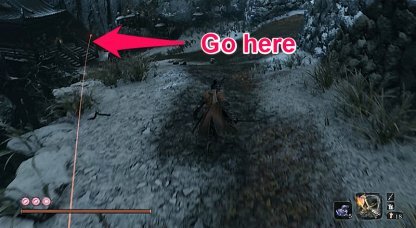 Take the left path and go towards the shrine and head past it. 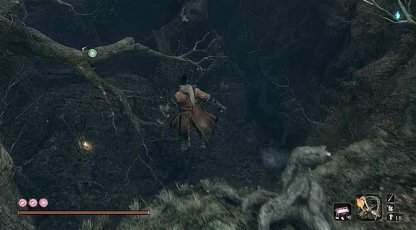 Just behind the shrine is a tree you can grapple to. 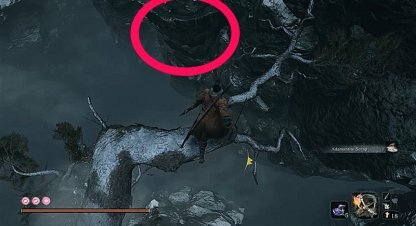 There's a ledge across the tree you can grab on to. Make sure to grab on to it when near it. Shimmy the ledge and at the end, you can jump across an area leading to a cave. Follow the cave forward until you find the Headless Ako inside. 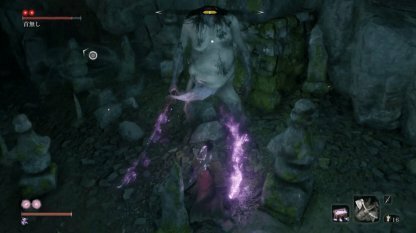 Headless Gachiin can be found near the Hidden Forest idol. 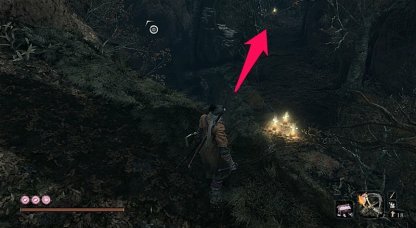 From the Hidden Forest Idol, just proceed forward and drop down to the area below. Near Headless Gachiin is a single item lying on the ground. Head towards it to face him. 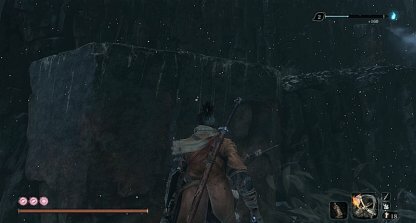 Headless Gokan can be found near Under-Shrine Valley. 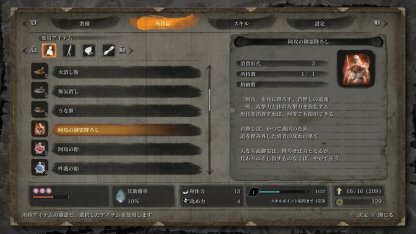 This requires Mibu Breathing Technique as you'll need to traverse an underwater tunnel. From the idol, turn around and grapple unto the grapple point. 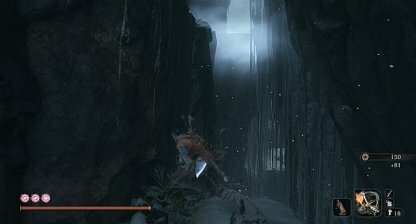 Grab the ledge past the two enemies here. Climb up and walk towards the right until the end. 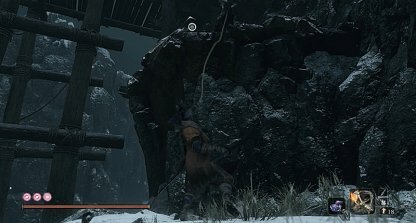 Climb up another set of ledge, and hug the wall to proceed forward. Jump down and turn to the right until you reach a small pond. Jump towards the pond and dive until you reach the end of the underwater tunnel. Head for the surface to reach Gokan's lair. Ungo can be found near the Old Grave idol, in a pond near the bridge heading towards the Great Serpent Shrine. From the idol, turn back and head towards the bridge. At the center of the pond is Headless Ungo. Dive underneath the pond to face him. Another underwater Headless found near Feeding Grounds idol. 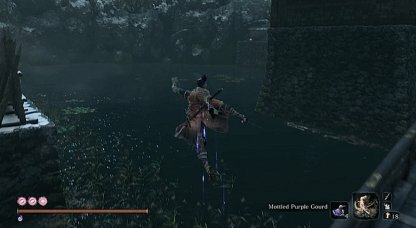 Dive underneath the lake in Fountainhead Palace to find him. From the Palace Grounds idol, jump towards the lake. 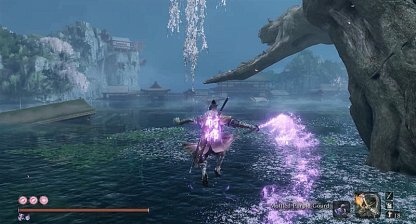 Dive towards the center of the lake to find headless Yashariku and another Headless apparition. A giant carp skeleton will indicate if you're going to the right way. 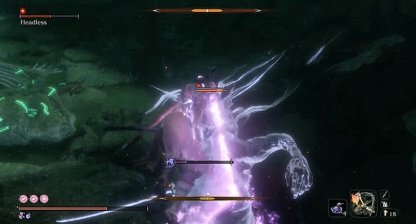 You'll receive a repeatedly consumable item called Spiritfall when you defeat a Headless. Each Spiritfall has the same effect as its sugar counterpart, but instead of being a consumable item, it can be consumed repeatedly using Spirit Emblems. 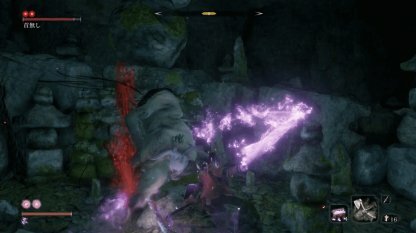 Divine Confetti makes it possible for you to attack and deal damage the Headless you're fighting. You need to use this item before the fight in order to win. 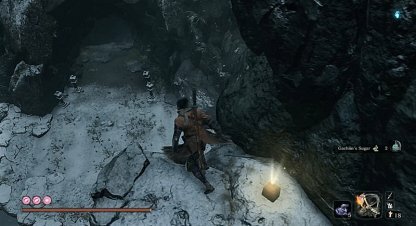 You can collect Divine Confetti from the Abandoned Dungeon. Pacifying Agent reduces your Terror and increases your Terror resistance, making it possible for you to last longer in your fight against Headless. Has the same effect as Pacifying Agent, but can be refilled at any idol. This is a must as well for underwater Headless fights since Pacifying Agent cannot be used underwater. After using Divine Confetti, approach the Headless and wait for it to fall on the floor. This is a great opportunity to do 2-3 slashes to initiate the battle. 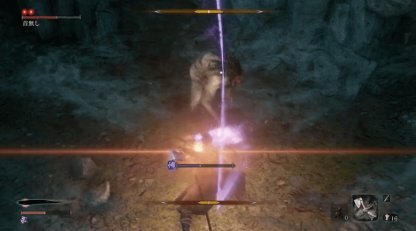 If you guard against Headless's attacks, you can only do so 3 times before your Terror gauge fills up. If it does, you'll have the Terror status effect and you'll die in one hit. It's best to dodge when Headless attacks you with slash attacks to avoid this. 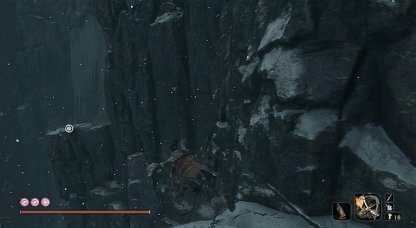 After dodging the slash attacks, you can dash forward and hit the Headless 1-2 times. 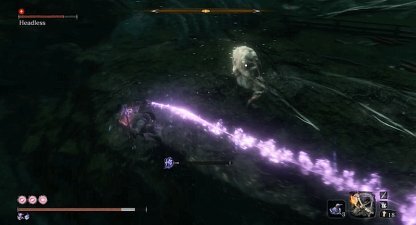 Be careful not to overextend your attacks or you may be hit by the Headless. 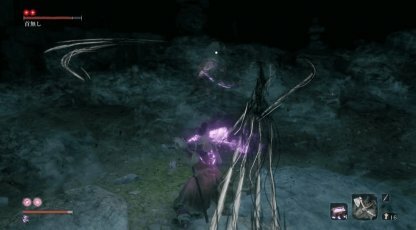 The Headless will disappear in the fight and re-appear right behind you. 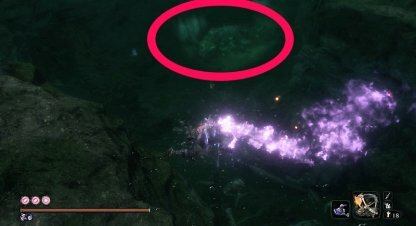 Immediately turn the camera around when it disappears so you can attack it 1-2 times. 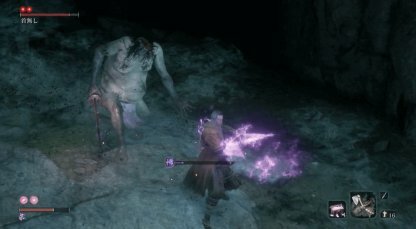 The Headless will deal a massive amount of damage if it is able to move behind you and hit you. Be sure to turn your camera around immediately when it disappears! 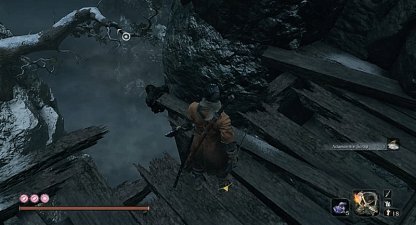 You can determine the next attack of the Headless by checking its left hand. If it's raised up high, this means it's a hand-to-hand attack. If the Headless's left hand is lowered, it'll do a series of side-by-side slashes, so be careful. 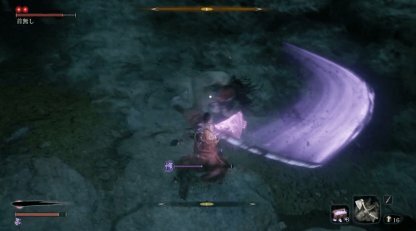 The Headless will slash you with side sword swings. Dodge or jump. It's not recommended to guard or deflect as your Terror gauge will build up and give you the Terror status effect. Check the Headless's left arm to see if it'll do the arm swing attack - it does this when its arm is lowered. 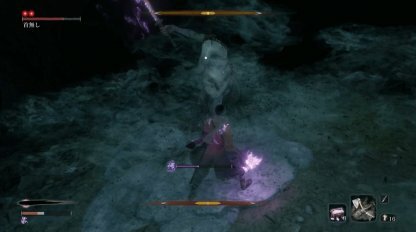 You can dodge this attack when the Headless does it. 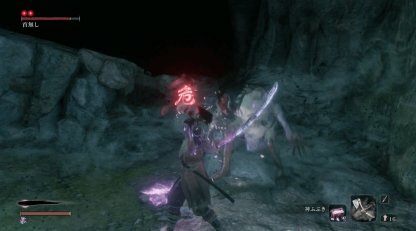 An attack that is hard to avoid, the Headless will disappear and re-appear from behind you, grabbing you and dealing big damage. 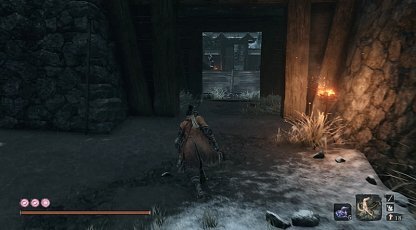 Turn your camera around immediately when the Headless does this to avoid taking damage. 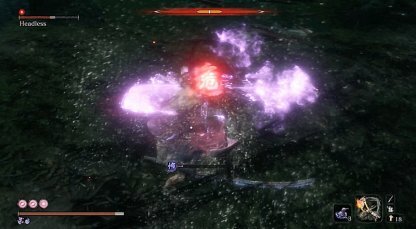 The Headless has a long-ranged attack that will have it shoot multiple projectiles at you. You can avoid taking damage by guarding. Use these items before diving underwater to build resistance to Terror resistance and to improve damage. 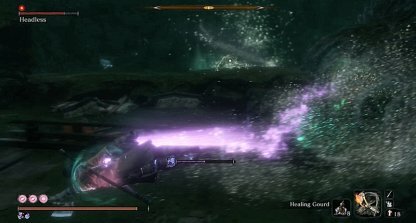 Although not required, Divine Confetti improves damage you can do on the Headless. These buffs tend to wear out fast. Keep a close watch on your buffs to ensure you have Terror resistance, otherwise you can instantly die from Terror. This only applies to Yashariku since he's accompanied by an apparition headless. Take it out first before Yashariku otherwise this fight will be harder because of Terror buildup. 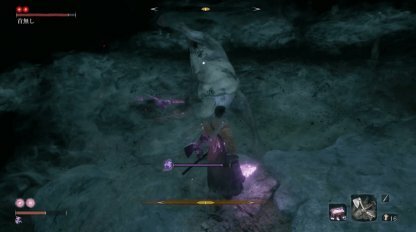 The underwater fights are much easier since you only have to deal with 1 HP node. 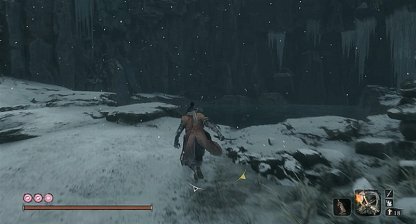 Also, you can swim away at normal speed, unlike the on-ground fights where he slows you down. He slashes through the water to send a wave projectile. Dodge swim to the sides to avoid this attack. He twirls his body around to throw long range terror projectiles. Swim to the side, and use this opportunity to get behind him. Swim away as soon as the perilous prompt appears. This attack will take a huge chunk of health from you. The Headless will swing its sword wide. 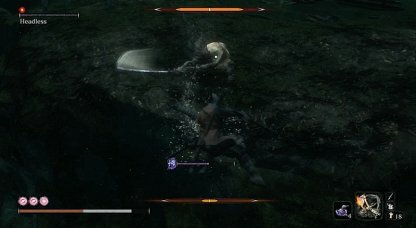 You can parry this attack but ensure you have Terror resistance. Otherwise, swim away. 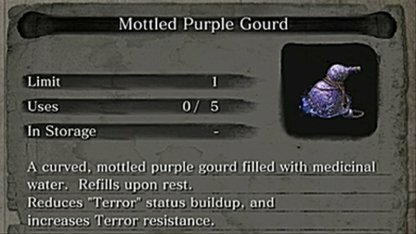 You can also get the Mottled purple gourd from the Mibu Village merchant to make this even easier. It reduces Terror build up.